Project Spark, a game in which you can essentially build a game of your very own, has now gone into open beta for Xbox One owners. Previously, the beta was only available on Windows 8.1, with approximately 250,000 people already signing up to see if the game lives up to its promises. Users who did not sign up for the Windows 8.1 beta can sign up to Project Spark through the game’s Official Website, while those who have will receive instant access to the console version. The game is reportedly cross-platform, so users can import their games to and from either version without fear, and can continue to work on their project on whichever platform they choose. In Project Spark, you can use in-game assets to create games or movies, and share your creations with the community. The game features a voxel-based world generation, meaning that the lands you create have a more organic feel to them than something like Minecraft, for example. 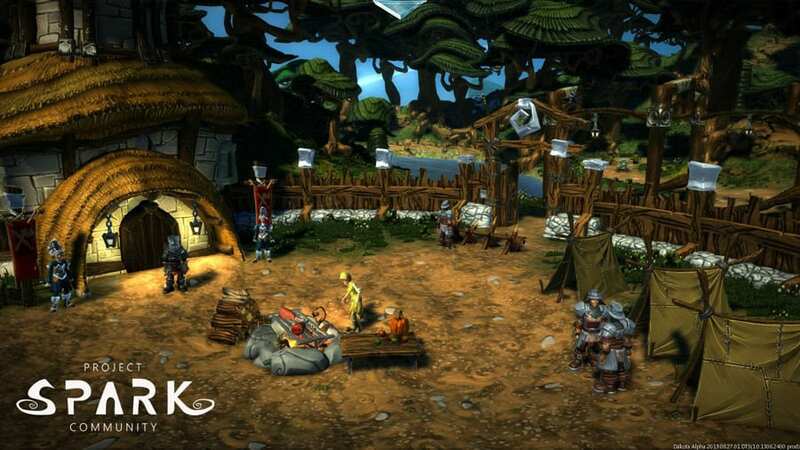 Users can also set behaviors of enemies, and trigger points within the game world, in order to create dynamic, interactive experiences with the Project Spark engine. While the game will not be able to replace the time, effort and uniqueness of creating a game from scratch, it will no doubt be a great platform for people interested in the process of making games to dabble and get their feet wet, while creating fun and interesting projects. Hi there. I'm a writing student over in Australia, and when I'm not losing sleep over getting a story just right, I live and breathe science fiction, fantasy, and of course videogames. Games have been a big part of my whole life, and have a huge influence on what I write in my free time. I may or may not be working my way towards making a game of my own, but only time will tell :P In the meantime, I help out here at GameLuster by offering up news and the occasional opinion piece, alongside our Kickstarter Spotlight (soon to be a thing, promise).